Glad that it's a short week, thanks to Labour Weekend! It's been a hectic past few weeks, and on my to-do list, is to catch up on the blog content I've been creating and editing. So stay tuned. It's been a little while since we last compiled a movie edit. Personally, I feel as though I haven't seen a movie (at the movies) that has wowed me lately. On a side note, I was on my flight back from Sydney on Air New Zealand, and I watched a fashion documentary titled The September Issue (obviously the most important issue of the year), and I highly recommend this interesting documentary especially to those who love fashion and would like a glimpse into the world of editing the best fashion magazine (Vogue). Anna Wintour will forever be one of my inspirations. As always, thank you to my team for their contribution. 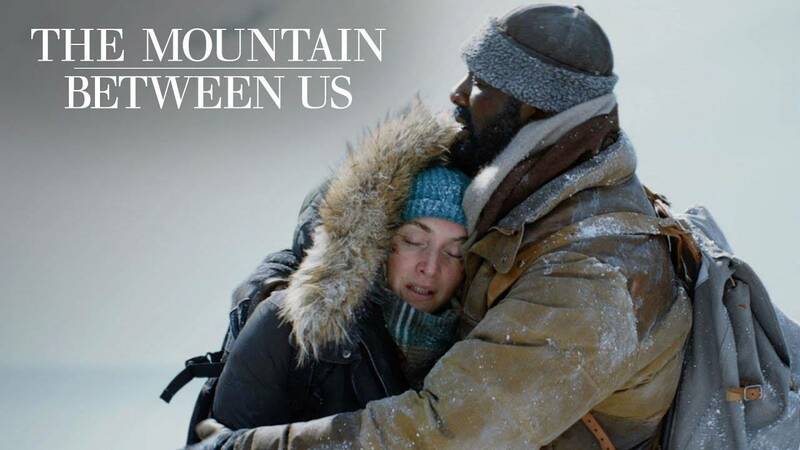 With a star trek resume filled with awards and box office movies, Kate Winslet’s The Mountain Between Us, appeared in trailers to be another masterpiece to add to her iconic name. The opposite couldn’t be truer. What looked to be a film worthy of movie viewers holding their breaths, the overall product was all too predictable and lacked a solid climax to keep viewers on the verge of their seats. The film began with Alex Martin (played by Kate Winslet), meeting Dr Ben Bass (played by Idris Elba) at a check in counter at an airport. Bound for Denver, they both couldn’t make it to their respective destinations due to stormy weather conditions. Hell bent on arriving in Denver so she could attend her wedding, Alex hired an unchartered flight and invited Ben along for the ride. As they reached cruising altitude, the stormy weather took a turn for the worse. In an unfortunate twist of fate, the plane’s pilot suffered a heart attack and predictably, the plane crashes into an ice capped ridge. With limited food supplies to only last them a few days, the two were torn between staying where they were in the hopes of being found, or, to make their way down to the foot of the mountain to find people to help them. The movie showed a contrast of two characters with polar opposite personality types. One is daring and willing to take risks, and the other, likes control and playing things safe. Their personalities clashed constantly over the course of the film but towards the latter half, each found harmony in survival. As the days rolled on and the snowy environments got worse, Alex and Ben learnt to trust in one another as they knew that death was simply a stone’s throw away. After much effort and miles of walking, they eventually found themselves within the vicinity of a working lumber mill. They both get saved and returned to their daily lives, only to find that after such a traumatic experience and surviving through it with one another, they couldn’t truly return to normality. The bond they forged on the mountain brought them back together. Though sweet, touching and respectable as overall product, the movie was all too predictable and made the viewing experience quite bland. The highlights of the film were the snowy mountains and forests which formed the backdrops of this movie. Overall, there was a lack of substance to really give viewers something to be wowed by. That’s why this film just cuts a 3/5 for me. College dorm rooms, a creepy faced mystery killer and death on repeat. 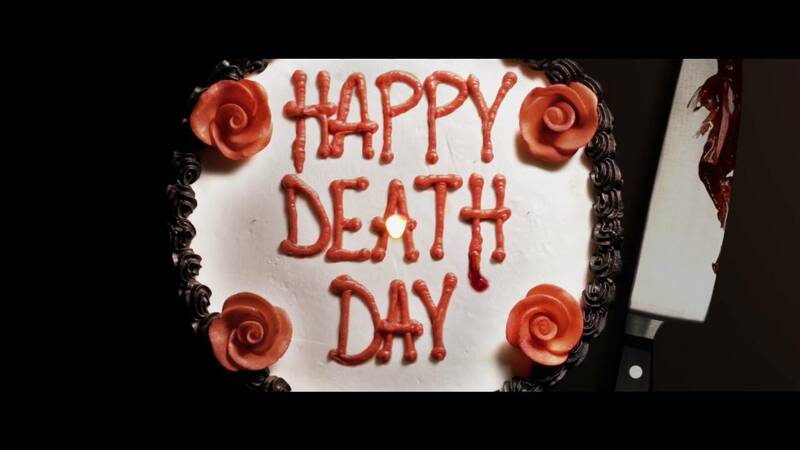 These were the key constituents that made for an entertaining and engaging film to watch in Blumhouse Productions’ newly released, Happy Death Day. The film began with the introduction of Tree Gelbman, a Bayfield University student, who wakes up in the dorm room of another student, Carter. As the film progressed, viewers became accustomed to seeing her spawn there after repetitive murders. The entire plot of the film circulated around Tree needing to discover the identity of her own murderer in order to escape the cycle of killings. For those familiar with Tom Cruise’s Edge of Tomorrow, the parallels in which the film was crafted was remarkably similar. After the first few cycles of death, Tree (with Carter’s help) sought to hunt down her murderer to free herself to live past her birthday. Although, the film was built on this constant repetition (which always ended up back at the film’s opening scene), the movie took viewers on a different avenue each time and kept everyone on their toes. This mystery was what made the film exciting and engaging. The murderer was not always who viewers thought they were! The various manners in which Tree died, lives and died again, became humorous after the third time. Despite the light hearted hilarity, there were undoubtedly poignant scenes that touched the heart when she professed to Carter and her father the new vision and appreciation she had for each day to make the right decisions. She had certainly not been making them. Tree’s character evolved with each death and as she came into her own, she left the comfort and fake sisterhood of her sorority. Tree found love throughout the journey, saved herself from a terrible cycle of death and in the end, discovered her true identity. With such powerful components propelling this film to a solid 4.5 stars, I sure hope we see more films like Happy Death Day in the near future!